Want to Track Your Regulatory Documents Better? 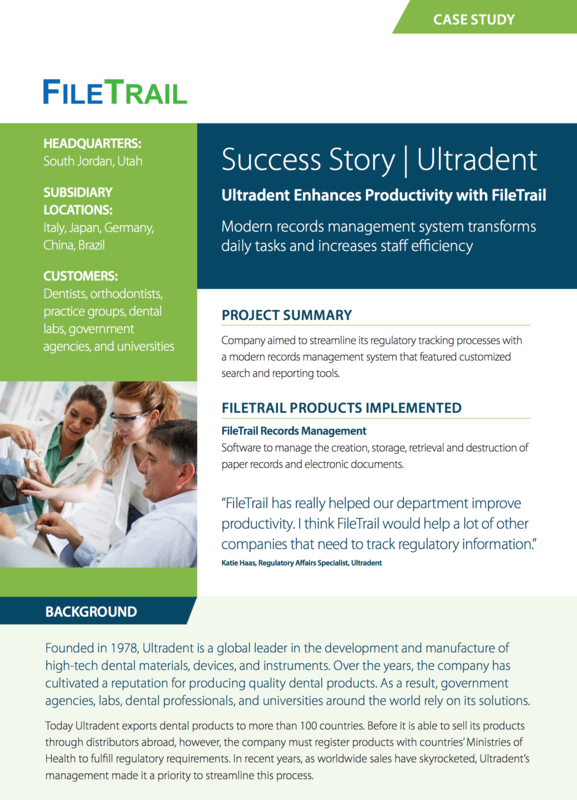 Ultradent sought to upgrade its system for tracking regulatory documents. It wanted a cutting-edge records management solution that offered highly customizable search and reporting capabilities. In the end, the firm selected FileTrail.